Hi, my name is Marie Spriggs-Campion and this is my 3rd time taking part in the Women’s Mini Marathon. It all started by going on short walks with my friend Ann at morning break and lunchtime. We both work in a busy office, so it is lovely to get out for fresh air to clear our heads. We would start with short walks about 2 miles for 30 minutes 4 days a week [weather permitting] and take part in local park runs [6KM] on Saturday mornings for 50 minutes. I met a girl from home and she was training for the Women’s Mini Marathon in Dublin. She would walk with a group of girls every Saturday for 10K and invited us to join them. I found it very hard at first this distance because I didn’t have their speed and wrong footwear. Afterwards I went into Elverys Sports and John [sales assistant] advised correct shoes i should be wearing – they were expensive but worth every penny. He mentioned that were a lot of 6K competitions for runners and walkers in the locality coming up and to take part. It was daunting at first taking part with all those fit people, we finished second last but promised we would try another race. Every Saturday we kept taking part in the Park runs and increase our distance each time. On local radio we heard that there was an advert for a Quarter, Half and Full Marathon in our area, so we decided to push ourselves and enrol for our first Quarter Marathon. We really enjoyed it and took part in other races. In June 2016 I took part in my first Mini Marathon for the first time, I really enjoyed it and met amazing women taking part for great charities. Our son Jake was born profoundly deaf 7 years ago and we spent lots of times up and down to Beaumont Hospital Dublin for his appointments. He wore hearing aids and we would often talk to other parents of kids with hearing difficulties in the waiting room. My husband Keith spotted a posted for Our New Ears which helped us and continues to support parents and kids. In December 2017 Jake underwent surgery for a Cochlear Implant in his left ear. Jake’s speech was much delayed, but thankfully with the Implant it has made a huge affect on his speech, development and confidence. Jake plays Hurling and Gaelic football with the local GAA club and recently joined Beavers. Our New Ears is a charity that I am raising funds for. It is 100% voluntary organised and run by parents of deaf children who can hear through hearing aids and cochlear implants. Our children have had surgeries to receive implants to help them hear. We all recognised the struggles that they would face and on their behalf we would help and support each other so our kids can reach their full potential. Our greatest success was when Irish deaf children entitled to receive two cochlear implants and Sign Language was recognised as a language. 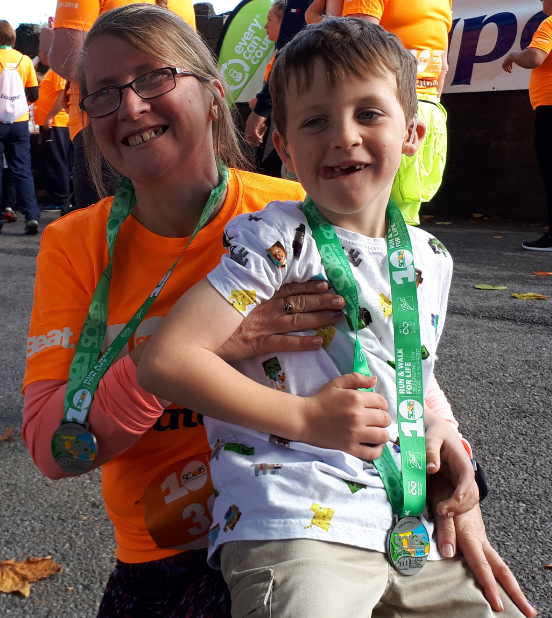 Hopefully by raising awareness of ‘Our New Ears’ and by raising sponsorship as a result of partaking in the Women’s Mini Marathon again this year, other children will get to experience the benefits that Jake has now! Thanks for taking time to read my blog, and looking forward to this year’s Women’s Mini Marathon in June.